This book by Nicholas C. Rossis has its feet planted firmly in the age-old question: “How real is reality, really?” Each short story in this collection focusing on a different scenario where things might not be exactly what they seem. Simulation Over starts things off in fine sci-fi horror style with a lone man desperately trying to escape a monster infested building. But soon it becomes clear that the building’s central computer might be involved in the sudden apocalypse, and our survivor wonders how he can stop a runaway A.I. who has begun to contemplate the very nature of reality. For the Last Time: a time machine story with a twist. Our lucky (or unlucky) recipient finding that every action — and every attempt to undo an action — only leads to even more unintended consequences. The Hand of God follows a salty war veteran as he entertains a bar crowd with tales of his heroics during a devastating war. 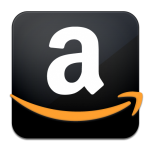 The narrative progresses as expected until the end, where it takes an unexpected turn. The sci-fi atmosphere of old school classics is readily seen in I Come in Peace. Here a man who has shut himself away from the world is visited by an alien entity. The spirit promising to change his life! A Fresh Start asks the question “Where would you be if you could be anywhere and do anything?” The main character being given this opportunity after stumbling into a creepy house. The Sentry is another homage to classic science fiction. Here a young warrior diligently guards his family from monsters. While it sounds fairly standard, the ending surprises. Big Bang by Amos A. Carpenter is a non-Rossis tale, but it definitely compliments the collection. The focus is on a group of youngsters playing a computer simulation about the creation of the universe; each player assuming the role of “gods” who direct their followers. Wonder if you will catch the twist at the end. What’s In a Name finishes the collection in straight-forward fashion with a ship and its ultimate fate. All in all, this was a great read. Each story was entertaining, thought-provoking, and never exactly what it seemed. Especially enjoyable was Mr. Rossis’ writing style: clear, uncluttered with unerring pacing and the innate ability to build a plot to the perfect climax. Needless to say, I will definitely be reading more of Mr. Rossis’ work and encourage others to do so as well. 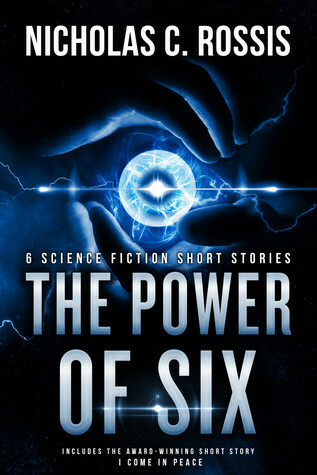 This entry was posted in 4 Stars, Science Fiction, Short Stories and tagged indie sci-fi, Nicholas C. Rossis, science fiction short story collection, self published sci-fi, Teh Power of Six. Bookmark the permalink. I believe it started out with six stories, and Nicholas added the last two as extras. Lol – DJ, you’re absolutely right. As our Bookwraiths friend says, it started out with 6 stories, then Amos gave me his (7), then I added a freebie from my next collection last month, when Infinite Waters was published. Great collection. Can’t wait to read your novel!